The slow-working, broad-brush action of current antidepressants may become a thing of the past thanks to new research that has identified the specific serotonin receptor that is linked to anti-depressive and anti-anxiety behavior. Reporting their findings in the Proceedings of the National Academy of Sciences, University of Michigan scientists explain how a key receptor in the brain directly influences the effectiveness of serotonin-related antidepressants, such as Prozac. The finding should open the door to providing a more targeted treatment for depression and anxiety with fewer side effects. “There are big drawbacks in the current therapies for depression,” says study author John Traynor. “Therapeutic benefits are delayed, there are unwanted side effects, and it’s not unusual for depressive symptoms to return.” The authors say the high relapse rate indicates a need for additional treatment options for the estimated 20.9 million Americans with depression. 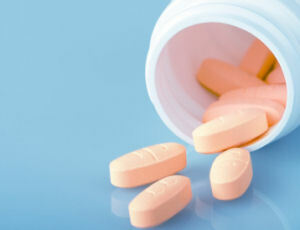 Most of the treatments for depression are selective serotonin reuptake inhibitors (SSRIs). These drugs work by flooding the brain’s synapses with serotonin, a neurotransmitter linked with mood, and increasing signaling through the more than 20 serotonin receptors in the brain. However, the team of researchers showed that one particular pathway, the serotonin 5HT1a receptor is linked with anti-depressive and anti-anxiety behavior in mice. “Rather than activating all serotonin receptors as SSRIs do, one could increase signaling through the one critical serotonin receptor that our research shows is important for anti-depressant behavior,” says co-researcher Richard R. Neubig. The new research details the complex actions of a family of proteins, known as RGS proteins, that act as brakes on neurotransmitter signaling. The researchers created a mutant mouse to boost serotonin signaling at the 5HT1a receptor. This was done by genetically inhibiting the activity of braking proteins. Without the normal brake on serotonin signaling, these mutant mice showed anti-depressive behavior even without being given antidepressant drugs. The mice were also more responsive to SSRIs. The researchers say that further research could lead to drugs capable of inhibiting the RGS proteins and which would target the antidepressant signal where it is required on critical 5HT1a receptors. 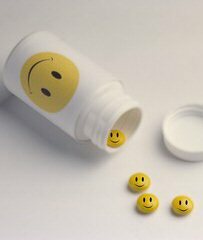 Do antidepressant meds work through personality change?